All the candidates who were eagerly awaiting FMGE June 2019 exam notification must pay attention. 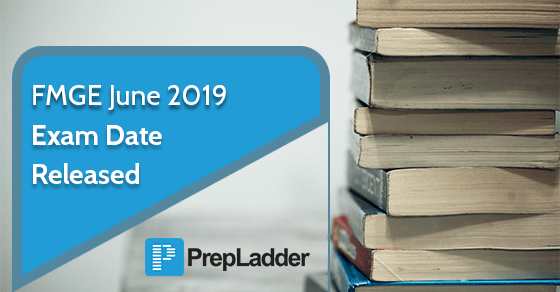 The exam date for FMGE June ’19 has been released. FMGE is a national level exam which provides the license to the foreign candidates i.e all those who have completed their Medical Degree from a foreign College or University, and desire to register themselves with MCI or any State Medical Council of India. This exam is conducted twice in a year i.e in the month of June and December. As per the public notice, FMGE June 2019 exam shall be conducted on 28th June 2019 on Computer-Based Platform at various centers across the Country. The registrations will begin in April/ May.